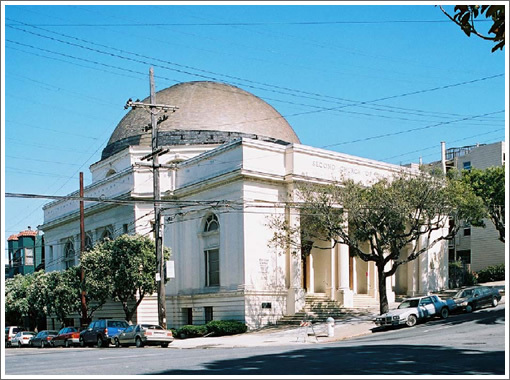 A plan to raze the Second Church of Christ Scientist church on the southeast corner of Dolores and Cumberland and build a smaller church and eight dwelling units on the site was drafted back in 2006 but ran into a wall of neighborhood opposition and was never approved. Having since been yellow-tagged by the City as an unreinforced masonry building which doesn’t meet current seismic standards, plans to reinforce the building and convert the vacant 22,000 square foot church into four residential units are moving forward with the Planning Department’s recommendation that the proposed conversion be approved this week. As proposed, the existing surface parking lot behind the church would be converted into a landscaped garden and a four car garage would be constructed in the basement. The estimated construction cost for the conversion is “between $1,165,000 and $2,200,000” and will take nine months with projected occupancy in the spring of 2015 if approved. 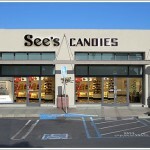 Will See’s Succeed While Starbucks And Chipotle Were Rejected? this should be torn down – for all sorts of reasons – like – IT’S FUGLY – IT’s unsafe, and a crappy use of space….. I think it is a great re-use of the bldg. I’ve always thought it was a rather handsome building overlooking Dolores Park. This will be the second large church repurposed across the street from the park. Which is great – we need about five fewer churches clogging the streets with their illegal parking on the weekends. This church doesn’t generate any parking: it has been closed for years. And thankfully, “fugly” is not a credible critique of architecture or land use. Sure, crisp edges and stacked boxes are the style of the current day, but a dome here and there on an older building is a nice variant in the neighborhood’s roofline, indicating the former use of the building. FWIW, the sister building to this is down in San Jose: http://www.sanjose.com/underbelly/unbelly/Sanjose/james/james25.html. It is also a vacant domed URM building overlooking a park. It has been vacant for decades. The difference though is that the Dolores Park, SF location is a lot more appealing compared to the St. James Park, SJ location. I think it’s a great building, and great that it’ll be preserved. I think that getting only 4 units out of it is sacreligious, though – seems like the space could be divided up much better than it is. @James: I know it has been closed for years. If they had re-built as a smaller church and apartments it would have created more illegal church parking on Sundays than we currently suffer each week. Only 4 units out of this thing means the units are going for at least $2 million each, probably $3.5 million for the uber-luxurious one under the dome.